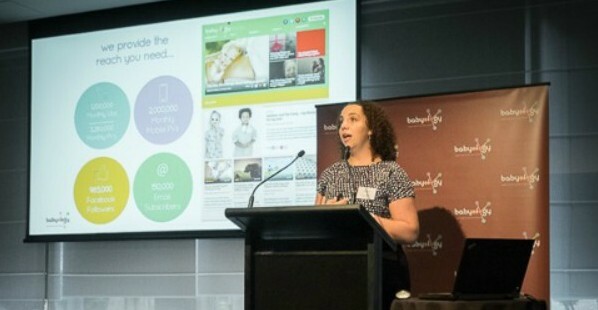 Australian mums are young, fit and both tech and social ­media savvy with a social conscience to match, new research reveals. One in six Millennial mums volunteer in their communities. More than 60 per cent rely on social media to know what is going on in the world, with Facebook, YouTube and Instagram the biggest sources of news and information. Most use social media, especially Facebook, multiple times a day. Three in four mums (75 per cent) don’t agree that women should put their own goals and aspirations aside to raise their kids and 70 per cent say mums need to have their own interests outside of their children. Only half are happy with their bodies after having kids, with one ­third currently trying to lose weight. Almost half prefer to buy everything online rather than walk into a real shop. 70 per cent research online before they buy, including new cars (70 per cent), real estate (80 per cent), holidays (80 per cent), health insurance (80 per cent), energy providers (70 per cent) and telcos (70 per cent). More than 80 per cent don’t mind reading sponsored content on websites as long as the information is interesting and the intent clearly disclosed. “The research shows that Millennial mums care a great deal about others and about doing what they can for people within their communities,” says Babyology Founder and Managing Editor Mandi Gunsberger. The top five worries for Australian mums are household finances, keeping up with the housework, finding enough me­ time, a lack of time to exercise and a lack of sleep. Contact our sales team to find out how a partnership with Babyology can tap into this key demographic and how we can leverage your product or service to help our mums overcome these concerns. Babyology is Australia’s largest digital media company for parents with a social media following of almost one million Facebook fans. Its key audience is 20 to 45-year-old women. We have a wide range of sponsorship packages available including digital campaigns, video content, subscription partnership, event sponsorship and bespoke campaigns.